In Matthew 11:20-24, Jesus says that it would be more bearable for Tyre, Sidon and Sodom on the day of judgment than it would be for Korazin, Bethsaida and Capernaum. The Roman army arrived in Jerusalem in A.D. 66 in Tishri, a month that begins with the Day of Judgment. 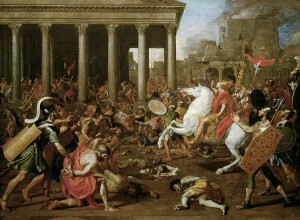 Korazin, Bethsaida and Capernaum were ravaged by the Romans during this war in fulfillment of Jesus’ warning in Matthew 11:20-24. The following may seem unbelievable. However, all information is taken from unbiased historical records, cited and is easily verifiable. On the holiday called the “Day of Judgment” trumpets sound the somber days of atonement and final judgment. 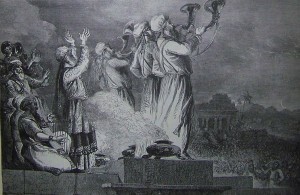 These trumpets are spoken of in Revelation as the seven trumpet plagues of Revelation 8-11. Each trumpet marked a significant event in and around the time of the Jewish War. 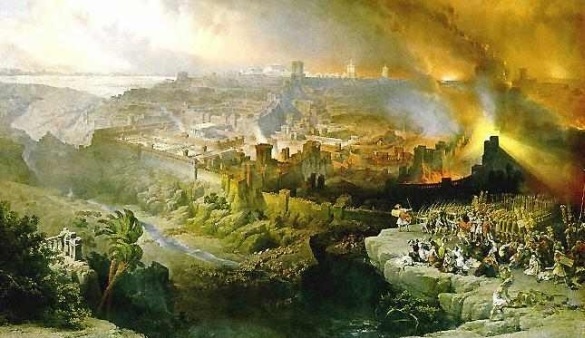 A Preterist Commentary on Matthew 11:20-24: Arriving in Israel in Tishri, a Month that begins with the “Day of Judgment,” the Romans attacked and destroyed all the Cities mentioned Above. According to Josephus, the Jewish War was the worst war in history.4 Jesus echoed these words in Matthew 24:21. In this verse, Jesus predicted that this war would bring unparalleled distress. All the cities mentioned in these verses were attacked and destroyed by the Roman military. In Luke 12:49 Jesus says, “I have come to bring fire on the earth. . . .” Just after the initial aspect of the Parousia in A.D. 66, the Roman army attacked Israel. See Historical Evidence that Jesus was LITERALLY SEEN in the Clouds in the First Century. The Romans demolished and burned the cities and countryside of Israel leaving the province a burning wasteland. The fiery fate of Israel is itself an earthly reflection of hell. 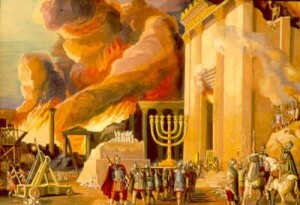 The Romans burned the Temple in A.D. 70. In fulfillment of Matthew 11:20-24 it was more bearable for Tyre, Sidon and Sodom on the day of judgment than it was for Korazin, Bethsaida and Capernaum. Perhaps the Jews who rejected the teachings of the apostles were consigned to a more severe punishment in the life to come than the citizens of Sodom and Gomorrah? This fact accounts for the seven trumpets of Revelation. Josephus indicates that the twelfth legion and a number of auxiliaries arrived in Ptolemais seemingly at the end of Elul or the beginning of Tishri. (Josephus The Wars of the Jews 2.18.9) Josephus describes several brisk marches and brief skirmishes throughout Galilee that would seem to last roughly one month before Josephus states that Cestius had arrived in Lydda. When the Roman general arrived at Lydda, he found the majority of the city had left to Jerusalem to celebrate the Feast of Tabernacles. This holiday began on the fifteenth of Tishri and ended on the twenty-second. This gave the Romans about fourteen to twenty-four days to complete the battles described by Josephus in The Wars of the Jews 2.18.9-2.19.1 taking into account the fact that the people of Lydda would have to travel twenty miles to Jerusalem. By my estimation, it seems that the Romans must have begun their attack not more than a couple days away from the Feast of Trumpets, on the first day of Tishri, because fourteen to twenty-four days is a very likely timeframe between the arrival of the Romans and Cestius’ arrival at Lydda described in this portion of The Wars of the Jews. Josephus The Wars of the Jews Preface.1.